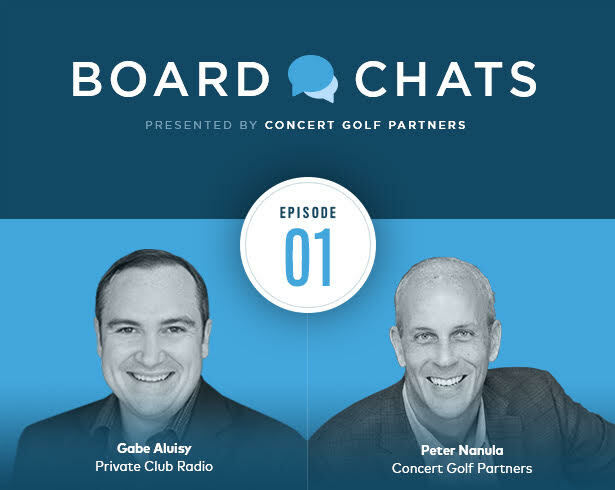 Each month, Peter Nanula, Chairman of Concert Golf Partners joins our host, Gabriel Aluisy, to discuss real issues affecting private clubs with actual board members of equity / member-owned clubs. You’ll get a sneak peak into real-world experiences and find out what it’s like inside real boardrooms. Board Chats is brought to you by Concert Golf Partners, who bring capital and operating expertise to preserve and enhance private clubs for the long term.